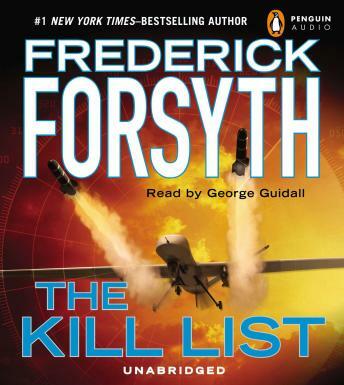 An extraordinary cutting-edge suspense novel from the 'king of the pack' (The Washington Times), #1 New York Times bestselling author Frederick Forsyth. In northern Virginia, a secret agency named TOSA (Technical Operations Support Activity) has one mission: to track, find, and kill those so dangerous to the United States that they are on a short, very close-held document known as the Kill List. Now a new name has been added: a terrorist of frightening effectiveness called the Preacher, who radicalizes young Muslims living abroad to carry out assassinations. Unfortunately for him, one of his targets is a retired Marine general, whose son is TOSA’s top tracker of men. The Preacher has made it personal—and now the hunt is on…. A great action thriller! The tittle and description are a bit misleading but this novel is leaps and bounds what's currently out there. Great, believable characters, and downright realistic situations. Very well written!